Start your career in the technology industry today! Become an Entrepreneur and Be Your Own Boss! What Are you Waiting For? Everyone loves Text messaging. 95-98% of text messages received are opened and read within minutes of receipt. Because of this, SMS marketing is growing quickly as a means of delivering marketing messages to clients and customers. This kind of marketing can be a great benefit to any business. 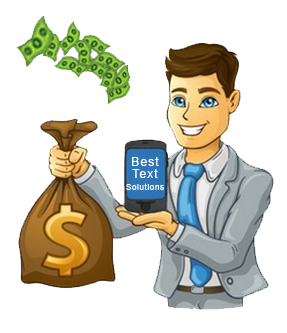 However you use text message marketing to reach your audience, you’re sure to get attention. You have a website so you can market your products or services and grow your business. Your goal with your website is to convert visitors into paying customers. Live chat programs keep website visitors engaged. Answering their questions makes them trust your products or services more, and makes them more likely to purchase your products and services. Allow Entrepreneur to show you the way to obtain more customers with our unique live chat software. It’s easy to install, only takes about 5 minutes and works on all web sites. If your website isn’t formatted for mobile devices, your losing customers right now. Over 1.2 billion people access their smart phones to look up information, find a restaurant or learn about a business. Be a smart business owner and get your mobile site today.